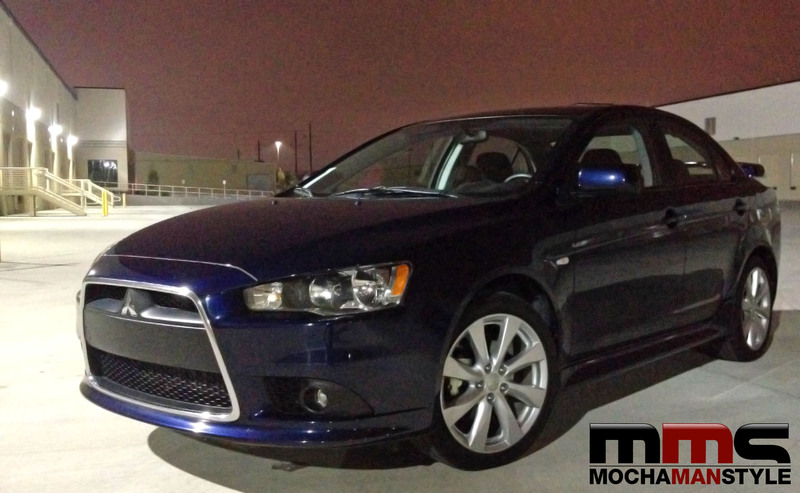 When my 10-year son saw the 2014 Mitsubushi Lancer GT parked in my driveway, he went berserk. I didn’t have the heart to tell him that it wasn’t exactly the same car. The Mitsubishi Lancer Evolution (or Evo) is the star of the video game, Need for Speed. It is the GT’s cooler, faster, sportier cousin. Whereas the Evolution is miniature rocket disguised as a sedan, the GT is more practical and tame. But the Evo’s heritage is still evident in the GT’s design elements. The GT is a front wheel drive car that has a 2.4-liter four cylinder engine. The exterior styling is edgy with 18-inch alloy wheels, rear spoiler, and an aggressive front end. My son really liked the Lancer GT’s looks and kept raving about how awesome it was. “Of course,” I said. He smiled, inspected the car some more, and went inside to play to video games. Although the GT is a different animal from the Evo, I wanted to test it’s performance to see if it could be the Evo’s understudy in the next version of Need for Speed. I contacted my friend, Jesse, who owns a business park to see if I could test the car on his property. He agreed and told me to meet him in the parking lot around midnight after all of the tenants had left for the night. I arrived at location to find Jesse standing near a loading bay. He motioned me over and I parked the car by the dock. He gave me the lay of the land and we went over our plans. Jesse is an amateur drag racer. He gave me a few driving and safety pointers and helped to assess the car’s performance. I started with the zero-to-60 test. From a dead stop, I made it to 60 mph in about 8 seconds. That won’t break any world records, but it’s faster than most sedans in this class and it will definitely satisfy your need for speed. Next, I tested the sport-tuned suspension by driving through a slalom-style course. Jesse placed a few orange cones around the parking lot and I zig-zagged around them. Although the car was stable around the curves, I felt the tires drifting a bit. In fact, the ICY Road warning light came on repeatedly as I rounded the corners. I must admit that I was a bit disappointed by the interior. It isn’t as comfortable and refined as many competitors in the class. And the keyless ignition was weird to me. Instead of having a push-button start, the car has a knob that I had to turn. I think it would have been just as easy to use a key to start the engine. I concluded the test by pushing the antilock brakes and stability control to the limits. From a speed of 60 mph, I was able to stop the car rather quickly. Jesse measured my stopping distance at around 121 feet. He told me that is was a respectable distance for a sedan. One of my favorite things about the Lancer GT was using the paddle shifters to operate the car in manual mode. It made me feel like I was actually in a video game. My son would have been proud.